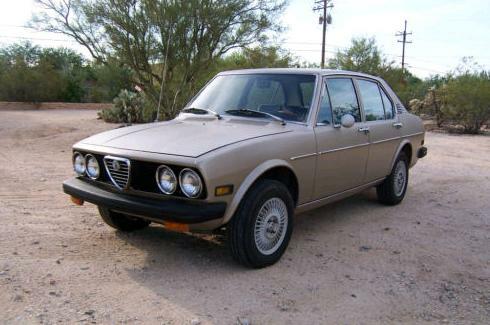 The Alfetta - especially the sedan - is one of the automotive world's most under-appreciated cars. I'll admit I'm a little biased. 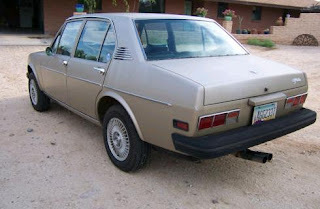 My first Alfa Romeo was an Alfetta sedan. This is a very nice example. It has 104,000 miles on it. Rust was the big enemy of the Alfetta and this car, from Arizona, has very little. There is some bubbling along the door bottoms. Rust can appear anywhere on an Alfetta (my Alfetta has some rust on the roof! ), so if you buy this car - or any Alfetta - fix what's there and then drown the car in Waxoyl. 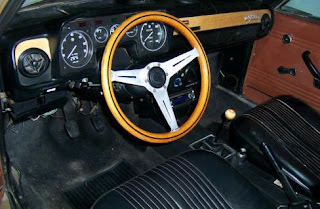 The Alfetta interior is fairly durable and this one looks to be in nice shape. The dashboard will crack with age however, and the seller makes no mention of this condition of this one. 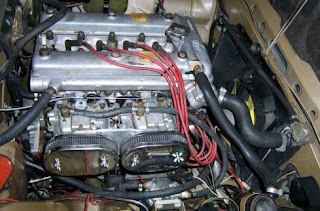 Mechanically, the Alfetta shares many parts with older and newer Alfas. Those parts are relatively easy to find. Alfetta specific parts - both mechanical and especially body and trim - are getting rare, however. Located in Tucson, AZ, click here to see the eBay listing. "The suspension, double wishbones and torsion bars in the front and a de Dion tube in the rear, was not like anything found on previous Alfas." Technically, the above comment regarding the de Dion rear suspension is not correct. While this was the first mass produced road going Alfa to have used it, it was used previously on several (post war) race cars. Some even had in-board rear drum brakes. I want to like it. I really do. It's just that every time I try any Italian model made after 1974 it's a disappointment.